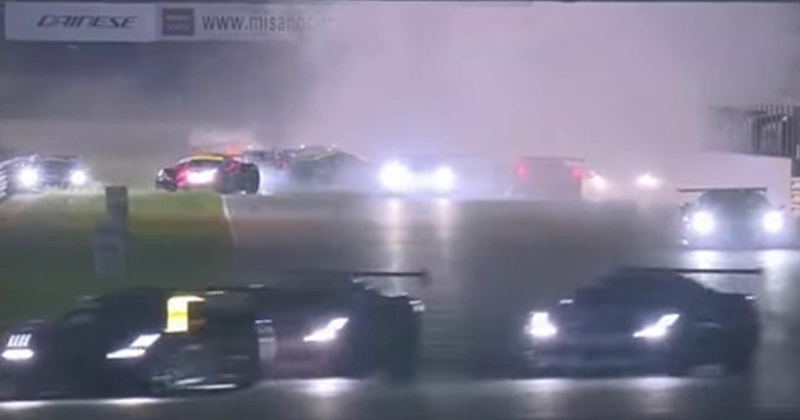 There’s something about GT races at Misano at night and big accidents - remember Laurens Vanthoor’s monster shunt from a few years ago? This time it was the turn of the Coppa Shell class of the Ferrari Challenge to become embroiled in spectacular collisions. The rolling start looked a bit of a mess and a few small collisions turned into one big pile-up, leaving a load of very broken cars everywhere. Amazingly race control tried to clear the whole thing up under safety car conditions before realising it was going to be more than the work of a moment and red-flagging it.